Avid was founded in 2004 with the goals of making us all better fishermen, fostering a love of the outdoors in our youth, and sending the best of our membership to the annual state championships. The benefits that go along with those are many: new friendships, travel to new places, access to a wealth of angling knowledge, and much more. Avid is affiliated with the Massachusetts B.A.S.S. Nation, the state-level organization of B.A.S.S. (Bass Anglers Sportsman Society). All club members will need to be a B.A.S.S. member prior to joining Avid (if they aren't already). B.A.S.S. Nation membership is included in our annual dues. We annually send a qualifying team to the B.A.S.S. Nation state championship for a chance to advance to the regional and divisional championships, and on to the Bassmasters Classic. We meet once a month (except November and December) on the fourth Thursday at 7 p.m.at the Taunton, MA AFA Hall. The club consists of about 2/3 boaters and 1/3 non-boaters, a ratio we try to keep intact as membership grows, since it virtually ensures all non-boaters will have a ride on tournament day. It also allows everyone the opportunity to learn from each other. Our events are all blind draw format, meaning a non-boater picks a boater at random for each tournament. We strive for an even playing field and feel this ratio and format is key. Yeah, that's all great, but what about the fishing? As for the fishing, we hold 5 tournaments each year and volunteer at one or more youth events, accumulating points toward an Angler of the Year award and qualification for the state championship. There's a small payout for 1st through 3rd place and lunker at each event. The first 3 tournaments in a calendar year count toward the current tournament season, while the 4th and 5th, held in the fall, count toward the next year's season. Particpation in a youth event is worth as much as a 1st place finish. Each spring we hold an open tournament on Long Pond Harwich on the Saturday before Easter, called the Easter Bunny Open, as a fundraiser for the club. It's one of the first tournaments of the year and is a fun event we all look forward to to get the juices flowing for the upcoming season. For more about the EBO see the EB Open page. We’ve also added an annual non-qualifying “Mystery” tournament. That is, an event held at a location the tournament director reveals to members the night before the event, for which no points are earned but prize money is awarded. It’s a fun addition that closes out our calendar year. If you're still reading, you must be interested! You're invited to read a bit further and check out the FAQ. If you're considering joining us or if any questions haven't been answered on these pages, please get in touch with one of our officers. We're always happy to chat about fishing! Join us at one of our monthly meetings, held the fourth Thursday of each month at 7 pm. AFA Hall is on the right. Annual dues are $155, collected in September for the upcoming year and include membership in the Massachusetts BASS Federation Nation, Avid membership, and $25 ($5 x 5 events) toward an annual big fish award given at the end of each season to the member who weighed the largest fish in a qualifying Avid club event. Members who miss fewer than 3 meetings in a year are rebated $20 off the next year’s dues, effectively making the cost $135. Note that membership dues are NOT prorated/discounted for anyone wishing to join after the dues September dues period. How much are tournament entry fees? Regular club tournaments are $30 which includes $25 entry and $5 for the tournament’s lunker pool. Easter Bunny Open entry is usually an $80 entry per team (or fish alone), with an optional $20 split lunker pool and a $5 ramp fee. 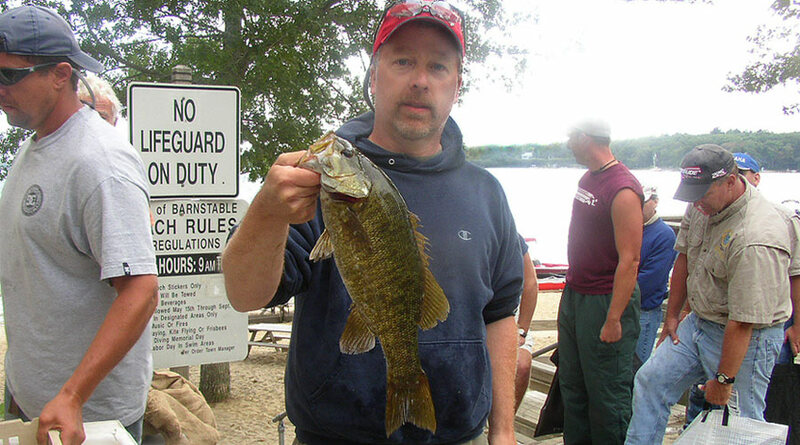 Mostly in central and southeastern Massachusetts, but usually fish one 2-day event at an out-of-state location, most often Lake Winnipesaukee or Lake Champlain. To join as a boater the limitations are that it must be at least 15' in length, and have a working kill switch and livewell. Because we fish some larger bodies of water where it can get rough, anglers with smaller boats may opt to fish as co-anglers if their boats can't handle the conditions. It's recommended that any boater carry boating insurance, since you will likely be carrying other people in your boat, and will be manuevering around others in close quarters. It is required for the EBO and most trails and opens.